Used in 363 recipes at an average of 1.554%. 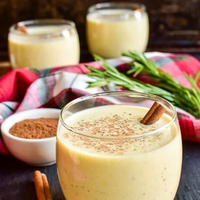 1-2-3 Eggnog that's full of spice and everything nice! It's thick, eggy, and creamy. Enjoy! Coquito is normally made with Bacardi Dark Rum but since I’ve not had a Rum that replicates that taste the closest thing I have to that warmth is FL Bourbon and it worked. Combined eggnog and horchata to create the spicy thick cream base. Coconut Candy adds the coconut notes and the macadamian nut adds a realistic nut note to the blend. Sweet cream and cream fresh create the buttery milk notes and the FA Bavarian cream rounds it all out without adding too many vanilla notes. Optional : Add 0.5% FW candy cane for the picture authenticity. Enjoy and Merry Christmas Familia. the aged bourbon cream is a nice oaky thick cream backed up with flv cream. It adds a bit of bourbon but I wanted more so I backed it up with tfa kentucky bourbon. 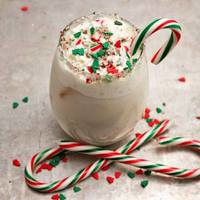 Flv Eggnog adds a bit of spice and tfa peppermint represents the candy cane stirrer. 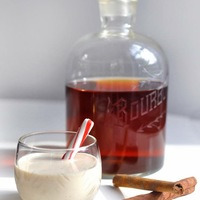 Coquito meaning "Little Coconut" in Spanish is a traditional Christmas drink that originated in Puerto Rico. 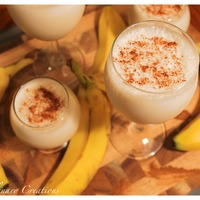 The coconut-based alcoholic beverage is similar to eggnog, hence it is sometimes called Puerto Rican Eggnog. The mixed drink is made with Puerto Rican rum, coconut milk, coconut cream, and sweetened condensed milk. Other spices and flavoring can be added, such as vanilla, cinnamon. Some versions are made with egg yokes. I work with college who gives me a home made bottle every year and I so look forward to it!! 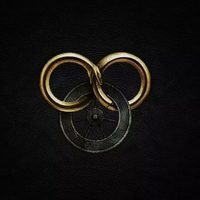 A fantasy mix designed to be reminiscent of a mulled wine that is often described in fantasy books. Instead of a wine base I used Egg Nog from flavorah and its spicy and delightful. Messed around with this recipe concept for a while (ever since the mixen vixen episode on banana shake). I originally was trying to use banana cream instead of banana nut bread, but for some reason I like the banana nut bread version better. I'm thinking the bakery notes might be working similarly to how graham cracker clear can effect creams (adds a kind of malted note to the cream). 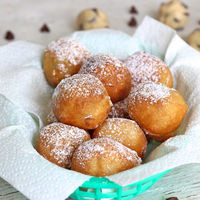 Creamy, sugar treated caramel cookies, fried with spices and cinnamon. I enjoy making fudge for the holidays but it is hard to get a decent chocolate vape. Naturally I wanted to try to make some in a vape form. However I have had better luck with the white chocolate than the milk chocolate varieties, so I went with that instead. I used the WF-White Fudge as my base, and even though it is pretty tasty on its own, I felt like it needed more complexity. I added VT-Love and FLV-White Chocolate to get a more accurate white chocolate profile. The VT-Honeycomb helps add those golden notes you would get from cooking the butter and sugar. One of the main components to homemade fudge is marshmallow cream which is why I added a bit of the OOO-Marshmallow (Vanilla). It also adds some creamy mouthfeel as an added bonus. 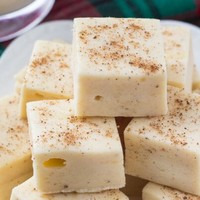 Last but not least I used the FLV-Eggnog and LA-Butter Rum as the accent flavors for my fudge. 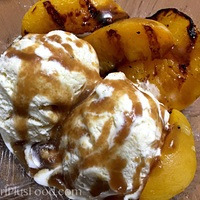 The end result is delightfully close to the real thing with considerably less calories! This needs 3 days minimum for the LA-Butter Rum to settle in. I used it low but it is strong stuff and has a chemical taste upfront. It will taste better with more steeping but it is still pretty tasty from 3 days on. Optional Ingredients: This is fairly sweet on its own but fudge by nature is sickeningly sweet, so you may want to add some sweetener of your choice around 0.3-0.5%. You could also try adding TPA-Holiday Spice 0.5%, FW-Pumpkin Spice 0.5% or FLV-Rich Cinnamon 0.1% if you want a little more spice in your mix.